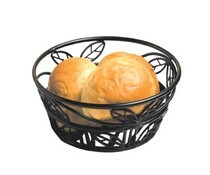 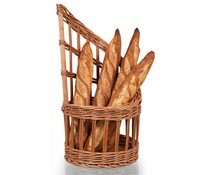 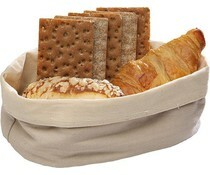 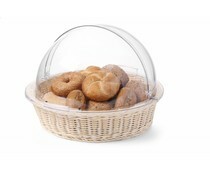 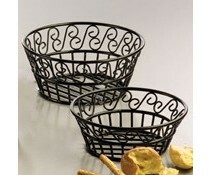 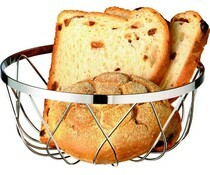 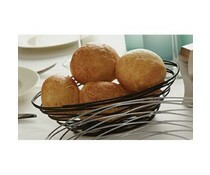 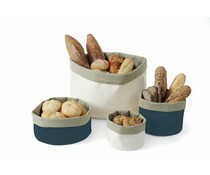 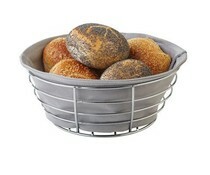 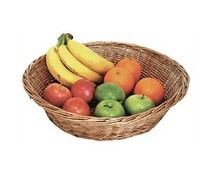 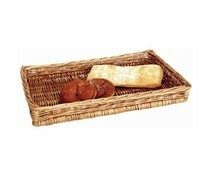 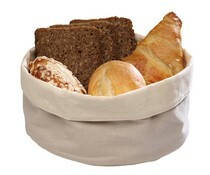 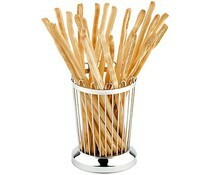 Dim 365x335x(H)245 mm Basket made of heavy duty polypropylene (poly-rattan). 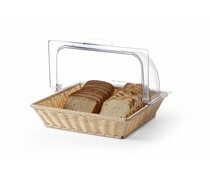 Roll top hood made of polycarbonate. 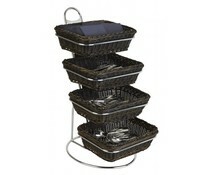 Baskets • The Color Is Black • Made Of Wrought Iron • This two tier basket showcase products in this two-tier black pedestal basket • Made of wrought iron material. 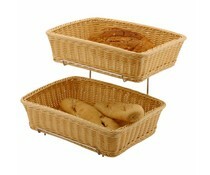 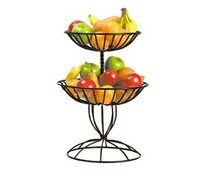 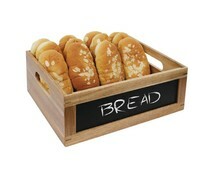 It is a useful for catering & buffets, hotel reception and guest rooms.